Description: To 48cm long. May appear to be a thick worm at first glance, but can be distinguished by its small shiny scales, eyes, and flicking tongue. 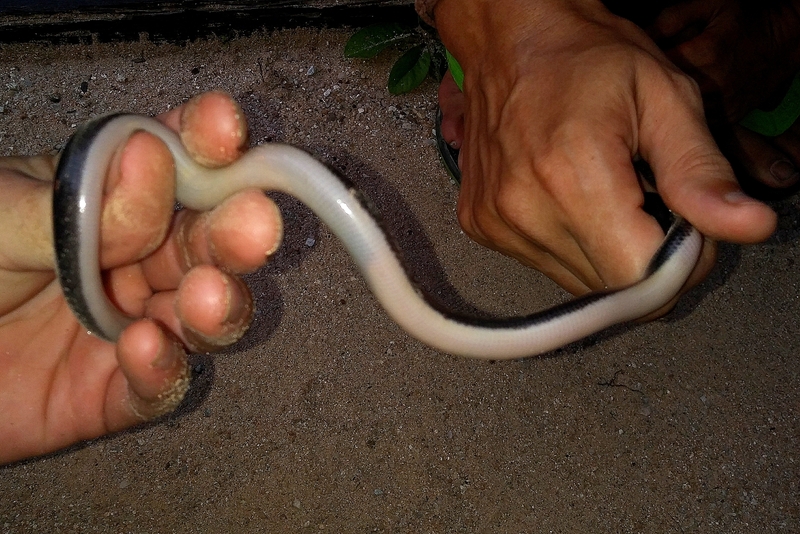 The largest blind snake in Thailand, and body is thick for a blind snake. Black, purple, or olive-brown coloration on top is clearly separated from a creamy-white underbelly. 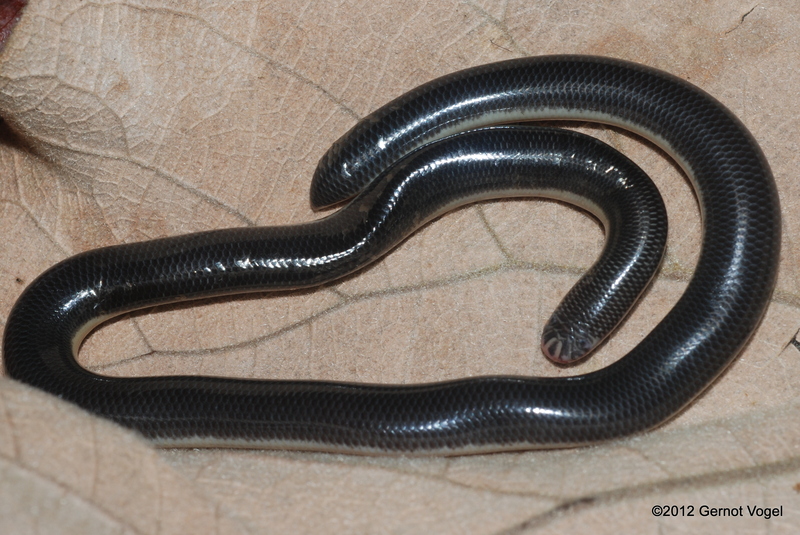 Similar Species: Brahminy Blind Snake is smaller and more slender with more uniform coloration. White-headed Blind Snake is smaller and much more slender with no sharp line of contrast between the dark and light coloration. 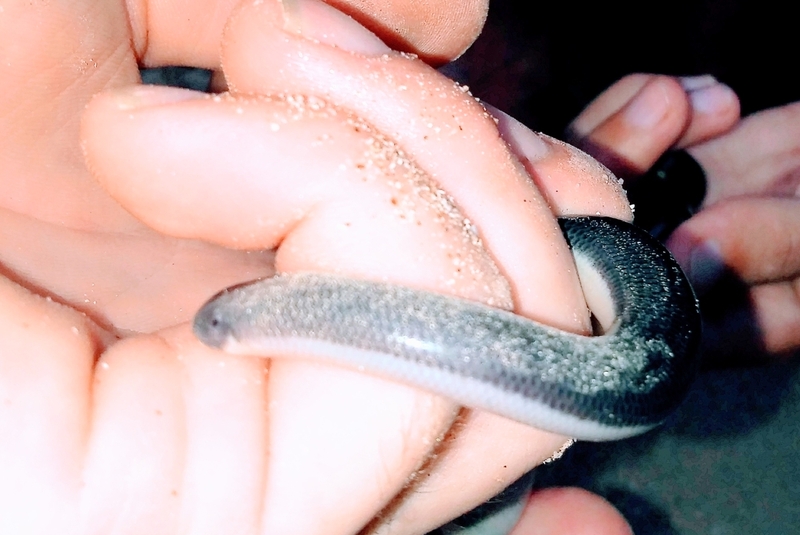 Slender Worm Snake is smaller, much more slender, and has a dark dorsal coloration that fades into a light brown belly, rather than a sharp line of contrast. 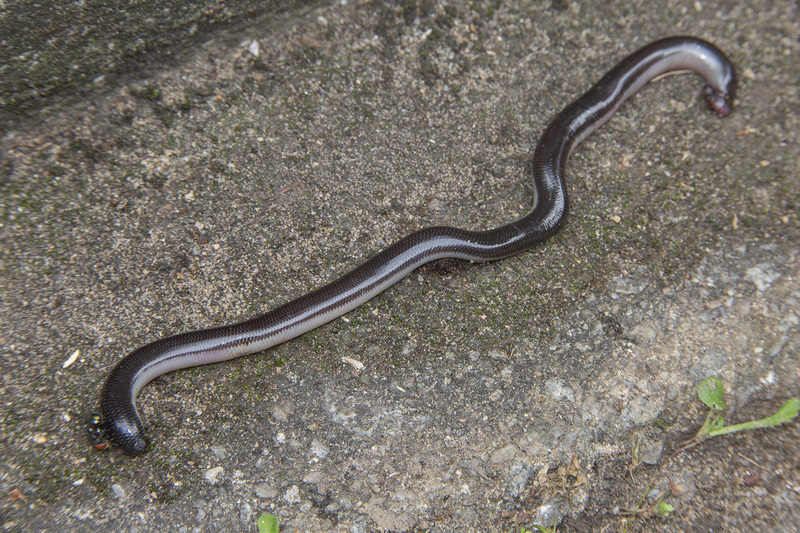 Diard’s Blind Snake has a dark dorsal coloration that fades into the lighter belly, rather than a sharp line of contrast. Roxane’s Blind Snake has a yellow snout and cloaca and lacks the sharp line of contrast separating dorsal and ventral coloration. Flower’s Blind Snake is creamy yellow from the snout to the chin and has a blunt tail. 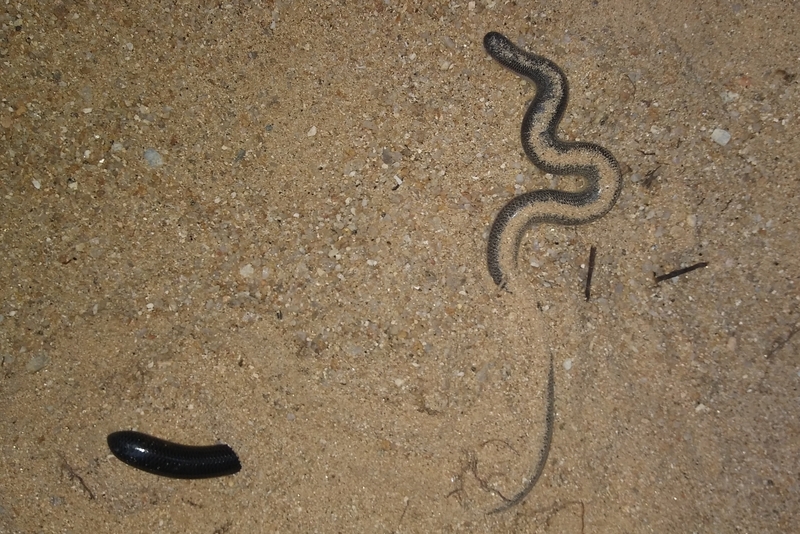 Blind snake species are difficult to distinguish from each other, so if you need more specific identifying markers you can go to this key to the blind snakes in Thailand. Habitat: Normally found in primary or thick secondary forests, but sometimes turns up in gardens in rural areas. Can be found in waterlogged soil, including muddy agricultural land. Spends most of the time underground, under leaf litter, or in rotting logs, but is sometimes active on the surface on rainy or humid nights. There are records from Bangkok for this species from the 19th century, but it may no longer exist in Bangkok, and if it does it is very rare. Contribution to the ecosystem: This snake helps control termite and ant populations by feeding on their larvae and pupae, and also eats other soft-bodied insects, worms, and mollusks. It provides food for larger fossorial snakes and other animals. Conservation status and threats: No known conservation issues, though due to its habits this snake is not commonly found. 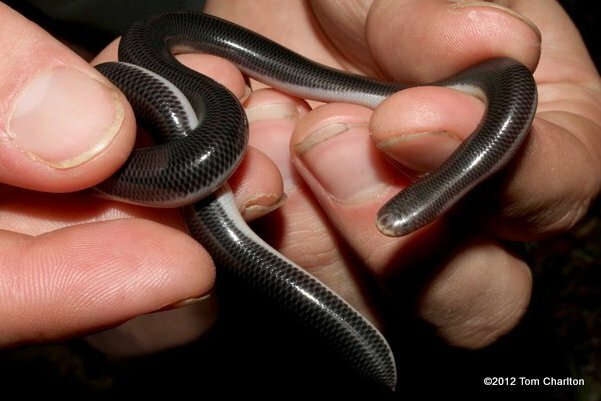 Interesting facts: Mueller’s Blind Snake is reported to sometimes feed on smaller snakes, which would be unique among the blind snakes of Thailand. Its relatively large size is what enables it to go after such substantial prey.